Political discourse has always been a rough-and-tumble business in the US. These days, our airwaves are flooded and fueled with a combustible mix of bombast, vitriol, and media navel-gazing, mea culpae and confusion about how to make a dollar. Unstable positioning is not without interest and import, especially in times of crisis and upheaval. Recently—weeping—Glenn Beck decried the media that “surrounds us.” Heart-felt? Seemed to be. Ironic? I can’t help but think so. Accurate? Maybe. Awash in information and opinion—or, as the sublime John Oliver of “The Daily Show” would have it, “swathed in a blanket of impenetrable jargon"—seems more accurate to me. More importantly, none of this is an invitation to participate in democracy. Shouting canned arguments at one another, re-tooling jargon, tearily deprecating “media” and lamenting bloggers (“the aggregators,” as Walter Isaacson growled recently) and politicians as destroyers of sacrosanct models of business and civic virtue is a diversion. These lamentations serve simultaneously as the most prevalent confirmation we are at sea and an encouragement to those lucky enough to be in a life raft to stay put and defend it against those in the water. In a way, ours is an age of the virtual Enclosure Movement. Commonly associated with the economic and social transformation of England, the Enclosure Movement fenced in land for private or civic use—sometimes with government help (e.g., the Inclosure Acts of the 18th and 19th centuries); sometimes without it (e.g., the enclosed manor). Open and arable land, once available for common use based on shared rights, was turned into tracts of land held privately and to the exclusion of almost any common right of use. We live in an electronic age. We live in an information age. As the evening news and newspapers (at least the printed newspaper) flicker, the glistening business model seeks “content” to package and re-package, access to which costs money. It is valuable to create, collect and organize (arable land, information, Fiestaware). It is what we do. But, as with its English predecessor, modern enclosure—virtual or otherwise—is not without political risk. And, as with real fences, where access is restricted (whether by financial cost or obscurity), the opportunity for public understanding and civic participation is reduced and the seeds of discord (worse, disconnection and apathy) are sown. I would like GOVERNINGWorks to pursue another path: Equable exploration of the day’s events—focusing on what government does, how it does it and the principles on which government is founded—and access to primary sources (free of charge and copyright restriction where possible) as a way to understand our government and encourage civic-minded engagement of it. I am not without views. But, I am more interested in exploring how self-government works (and doesn’t): How government makes good on the ideals it is created to protect and the dilemmas it faces along the way; how to understand the grounds on which we govern ourselves. To be both interesting and effective in a political sense—to be more than splenetic outburst—public discourse cannot only rail against present sin but ought to offer means to salvation. 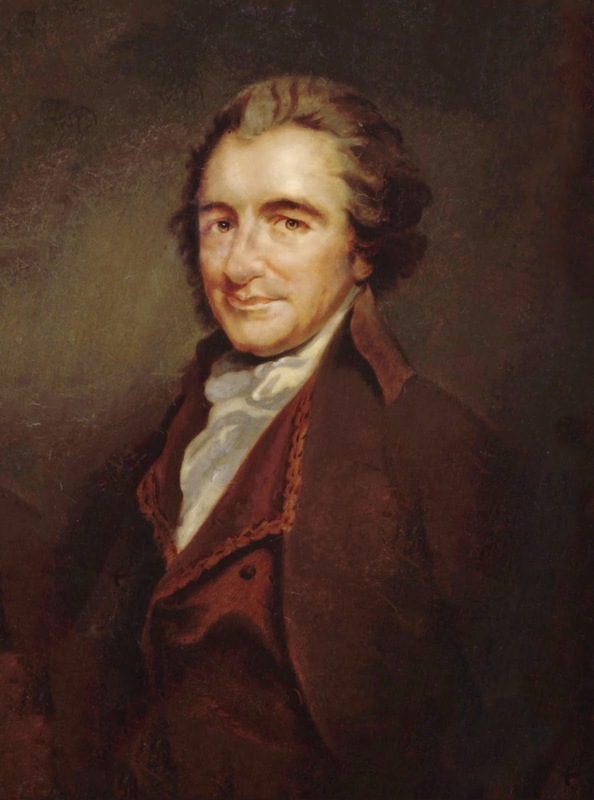 Witness Thomas Paine's Common Sense. Thomas Paine, Common Sense, salvation this is not. I do hope it is something approaching a virtual pamphleteering for political understanding and civic participation. Or...We could always go see Glenn Beck’s Common Sense Comedy Tour.